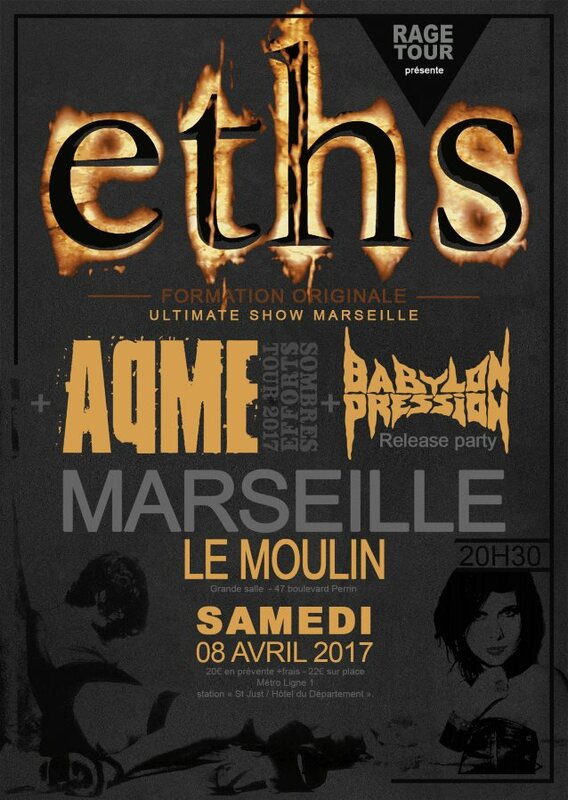 French metallers ETHS reunited with their original lead singer, Candice Clot, for a hometown show last night (Saturday, April 8) at at Le Moulin in Marseille. This was the first of two final concerts the band has decided to play before calling it quits, with the second one scheduled for April 30 at Le Trianon in Paris. Fan-filmed video footage of the Marseille performance — which was reportedly professionally filmed for an upcoming DVD and Blu-ray — can be seen below. Clot left ETHS for personal reasons in 2012 and was replaced by Rachel Aspe. Rachel‘s vitriolic vocals fit perfectly the pounding riff barrage of the band’s modern metal style, which was demonstrated on the 2014 EP “Ex Umbra In Solem” and last year’s “Ankaa” full-length. Rachel played her last show with ETHS on December 3, 2016 at Le Chabada in Angers, France.